Because they are affordable, offer various support options, are readily available and easy to transport, innerspring mattresses are the most popular type of mattress sold today. 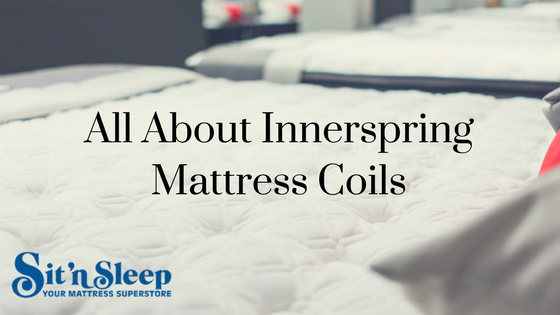 If you’re planning to buy an innerspring mattress, you’ll need to know about its interior coils before reaching a final decision. Generally speaking, the higher the coil count, the more support the mattress will provide. If support rather than softness is your priority, focus on the steel inner coils rather than the outer layer materials. When looking at coil count, understand that the coiled steel springs inside the mattress are the components that support the sleeper as body lie on top of the mattress. The padded upper layer or layers of an innerspring mattress are made from upholstery material, natural fibers, foam or even very small micro coil steel springs; they are what add cushion and comfort to the mattress. 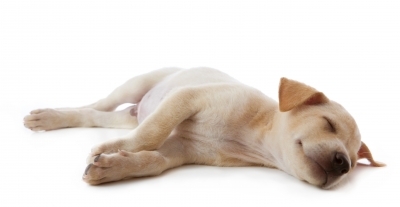 Innerspring mattresses typically contain anywhere between 250 and 1,000 coils. Try to avoid mattresses with low coil counts. As a guideline, the minimum number of interior coils you should look for in a full mattress is 300, 375 for a queen mattress and at least 450 coils for a king size mattress. Bonnell coils, which were first used to pad 19th century carriage seats, are the oldest, simplest and most commonly found coil support system. Being less expensive to make than other coil systems, Bonnell coils are usually found in mattresses in the lower to mid-price ranges. Continuous coils are head-to-toe rows of s-shaped springs formed from a single steel wire hinged in a manner similar to offset coils. Often found in Serta and Kingsdown mattresses, interlinked continuous coils provide a consistently stable and durable sleep support system. Pocket coils, which are also known as Marshall coils, are barrel-shaped, thin-gauge steel coils individually encased in fabric coverings. Pocket coils make the mattress firmer, while still separating motion between sleepers on opposite sides of the bed. Because pocket coil support systems are more costly to produce than other coil system types, they’re most often found in higher-end mattresses. In addition to the gauge, number and type of coils, it’s also important to find out whether the coils are tempered. Because tempered coils have been repeatedly heated and cooled to solidify their shape, they’re sturdier than non-tempered coils, and are a good choice for larger bodied individuals and persons who need or prefer firm support. The number of working turns in each coil, which is a measurement of how tightly each coil is wound, is also important. The greater number of working turns, the softer and more durable the mattress will be, since the body’s weight will be more evenly distributed by the springs. When shopping for an innerspring mattress, be sure to also check the gauge of the steel coils used in its construction. Coil gauges are measurements of their thickness, which in mattresses is usually between 12 and 15. Higher measurements indicate that the coils are thinner and will have a softer mattress feel, while lower gauge coils offer greater firmness and support. If you enjoy sleeping on a bed with a high “bounce factor” but dislike a mattress with a “sinking in” feeling, or if you appreciate a bed with good perimeter support, an innerspring mattress from Sit ‘n Sleep might be right for you. The best way to find out is to visit one of our 38 conveniently located Southern California outlets and spend a few minutes physically testing the various brands and coil types. We’re open seven days a week. Our friendly and knowledgeable Sleep Consultants are always on duty to answer your questions and help you choose the innerspring mattress that’s best for your unique sleeping situation. How Can You Find the Right Mattress for You?